If you visit that site and see how reputable sanctuaries behave you will see that Bear Creek is just a back yard menagerie. I participated in the American Zoological Association’s Felid Taxon Advisory Group’s assessment of how many species of cats were in zoos back in the late 1990s and there was only one aging Jaguarundi in the U.S. at the time. How did Jim Broaddus come by his? Exporting from their native range is nearly impossible. Can he prove to you that this was done legally? 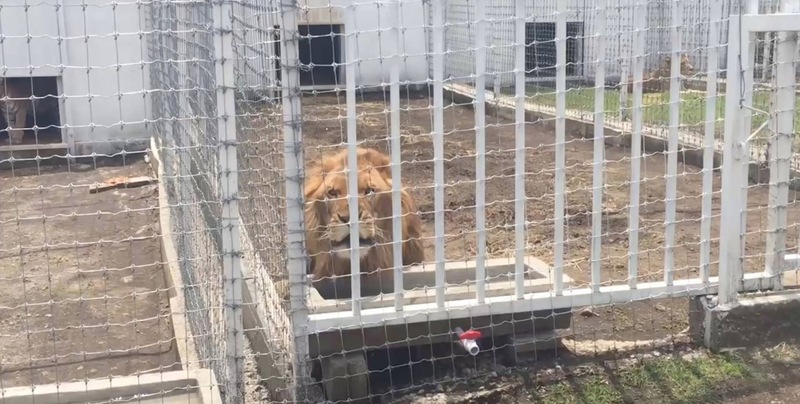 If it was, what was the point of taking cats from the wild to live in his back yard cages? For years people have made the excuse for this bad behavior by saying they are “educating” the public and causing them to care about animals in the wild, but you will find these places, including most zoos, either send no money back into conservation, or only enough to serve as lip service. The fact is that if someone can pay $10.00 to see an exotic cat in a cage, they will not send $10.00 to protect that animal in the wild. They will pay for the convenience of seeing the cat in a cage, rather than protect it in the wild. If the only way you could see a Jaguarundi was to go to Central or South America and plow money into eco tourism, then these and other rare and endangered species would have some chance at survival. The only intelligent remark made by your subject was, “They’re very, very intelligent animals.” That is true and that is why it is so cruel to breed them, support those who breed them (by buying or giving them a dumping ground), or take them from the wild for lives of captivity and deprivation. At Big Cat Rescue we have 137 exotic cats and our staff of 84 volunteers spends most of their time trying to keep them comfortable and stimulated. Science is proving that animals are far more complex than we ever imagined. When you consider that a bobcat needs 5 square miles of territory to fully express all of their instinctual talents then it becomes clear why keeping them in cages is so inhumane. PANAMA CITY – Hero, the Siberian lynx, is suffering from stage fright. Tours at Bear Creek Feline Center, the feline sanctuary off U.S. 231, are usually treated to Hero’s leaping skills, but today the 50-pound cat won’t oblige. Hero is a regal-looking cat, with sandy brown spotted fur and a white belly. He is sitting against the back wall of his cage, ignoring the requests of Amanda Libert, a Bear Creek volunteer, to come out and play. At first glance the most striking characteristic of a lynx is its oversized feet. They act as snowshoes when the cat is in its frigid natural habitat; here they make Hero, an otherwise beautiful creature, look a little odd, like a 10-year-old boy with size-13 feet. “They have these luxurious coats. You put your hand on it and it just sinks in,” says Jim Broaddus, who started the non-profit sanctuary at his home in 2000. Bear Creek, which offers tours ($10 for adults, $5 for children), also houses bobcats, panthers, caracals, servals, and feisty little otterish-looking cats called jaguarundis. As Broaddus, 65, talks about Hero, the lynx perks up. Hero’s pale eyes lock in on something behind me, and he pulls his legs, and those big feet, together into a crouch, as if preparing to pounce. “Oh, he’s hunting,” she says matter-of-factly. I stop paying attention to Broaddus and look over to the 19-year-old Libert. “He’s hunting?” I ask. Broaddus normally doesn’t allow people inside the cage with lynx, which in the wild hunt rabbits, rodents, and sometimes game as large as sheep and deer. He made an exception for the photographer and me. I begin to wish he hadn’t. “What is he hunting?” I ask nervously. Broaddus answers dismissively, “Oh, just the domestic,” referring to Obama, one of his four housecats, who is conveniently outside the cage. They’re right – Hero zones in on Obama, sizes up the cage, then gives up. He barely looks at me or the photographer. I exhale. Most of Broaddus’ cats are rescues, or re-homes. Hero was bought from a Nova Scotian fur farm, where he was destined to become a blanket or a coat before Broaddus bought him. The biggest feline on Broaddus’ 2.5 acres is Cleo, a 200-pound mountain lion. The smallest are the jaguarundis, which are just a bit larger than housecats, but you can tell the difference right away. Jaguarundis hiss like angry rattlesnakes at strangers, but Broaddus says they’re all bark, no bite. The panthers are the big attraction. Dani is four years old, weighs about 70 pounds and, according to Broaddus, is the prototypical Florida panther. “She has the Romanesque nose, the cowlick, the tip on her tail, the whole package deal. If we could only get her to breed, we’d be famous,” he says. Broaddus created Bear Creek for conservation and enrichment – to teach people about these cats while also providing a place where, he hopes, the ones facing extinction can breed. He estimates there are only about 100 Florida panthers in the wild, and Bear Creek’s breeding efforts have been in vain so far. Dani and Thatcher, the male panther, don’t get along well, Broaddus says. We are not allowed to join Broaddus in the cage with Dani. Panthers are not known to attack humans, but they can get playful, and playful for a 70-pound cat can be painful for a human. Bear Creek is in a residential neighborhood, surrounded by a six-foot chain-link fence topped with barbed wire. A slightly taller wooden fence runs outside the metal one. 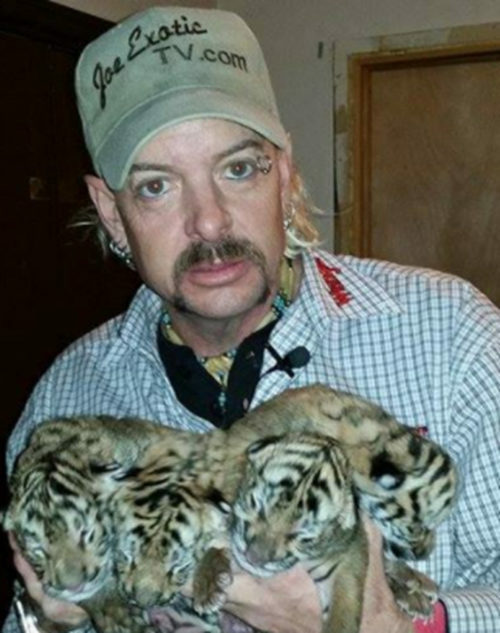 Other than a few of his housecats, none of Broaddus’ animals have ever escaped, he says. panther, outside of her cage on a leash. Myers tries to get Marilyn to sit, but she does not comply. He asks her again. She half-sits for a second, then rolls over on her back. “Okay, lay,” he says, admitting defeat. Marilyn then curls around his left leg and starts gnawing on his jeans. As he tries to shake her loose I ask him what it takes to get comfortable around a panther. he started Bear Creek in 2000. “Florida is rather unique in that it does have a large and exotic animal population,” Culver says in a phone interview. A few days after our first visit to Bear Creek, I join Broaddus in his kitchen. Gregarious when leading the tour the previous week, Broaddus is now a bit quieter, but no less eager to talk shop. “Bay County is starved for good, quality, family things to do. The restaurants, the night clubs, when you run through those, what are you going to do?” he asks. California”, the song by the Red Hot Chili Peppers. When asked about tattoos on his wrist and neck, Broaddus simply says, “I guess they’re from the whole rock and roll scene,” and quickly changes the topic. on a deck outside their bedroom. A silence in the conversation is broken by the sound of liquid clapping against concrete. Dani is relieving herself from the deck. “Well that’s kind of embarrassing,” he says. I ask him if he ever worries about one of the cats going off on him Siegfried and Roy-style. “I do. I think about it,” he says, then looks off into his yard in a moment of introspection. The blow gave Broaddus a subdural hematoma. He recovered, though, and is quick to point out that that could never happen with a guest; they don’t go in the cage with Cleo. “They’re very, very intelligent animals,” said Broaddus of his panthers. I ask him how a panther reacts when it encounters humans in the wild.